My sister bought the album “Winds of Heaven, Stuff of Earth” which included the breakout hit, “Awesome God.” We then bought every album that Rich released after that. I now own every album Rich ever recorded. My favorite album has to be “A Liturgy, A Legacy and A Ragamuffin Band.” The song, “Land of My Sojourn” remains one of my all time favorite songs from any writer of any genre. Rich was not a technically strong singer. He wouldn’t make it on the first round of “The Voice” or any reality singing contest, but he moved millions of people. Everyone who listened to him thought, “I bet we’d be friends if we hung out.” He was not a strong singer, but he was a musical genius. He OWNED the piano and explored uncharted musical territory. He was a brave artist. Rich was like the best teacher who put words to what you’ve always suspected or hoped for, but couldn’t clarify, but upon hearing it you say, “yes, that’s exactly it!” But also like a teacher who brings the best out of you – calling you to something so much higher than your small existence. Rich could connect the magnificent God and the mundane human experience in the most surprising ways. Sometimes in song, like in the lyric above. Sometimes he did it like Annie Dillard does it – where you least expect to find it – like the way the moon shines on a field in Nebraska or in the fury of a pheasant’s wing. Sometimes Rich did it in concert where he would share his soul, his present day struggles, where he would tell us to be very wary of revering Christian music stars, which made us revere him all the more. Or when he told us about the time he really wanted to give into temptation in Amsterdam because giving into temptation is fun. Like all the times when he told the truth during an era where we all thought we were supposed to look holy. Or the time he spoke powerfully about systemic poverty and how few in our circle were talking about it back then. Or when he limited his royalty check and refused to know how much money he made from his albums. Or the time he moved to a reservation to live in solidarity. Rich was a portal. A human, flawed, brilliant, sinful portal of musical genius and spiritual hunger that embodied the cry of Paul, “I want to know Christ and the power of his resurrection and the fellowship of his sufferings.” Rich spoke and sang and played and yearned and we yearned along with him. 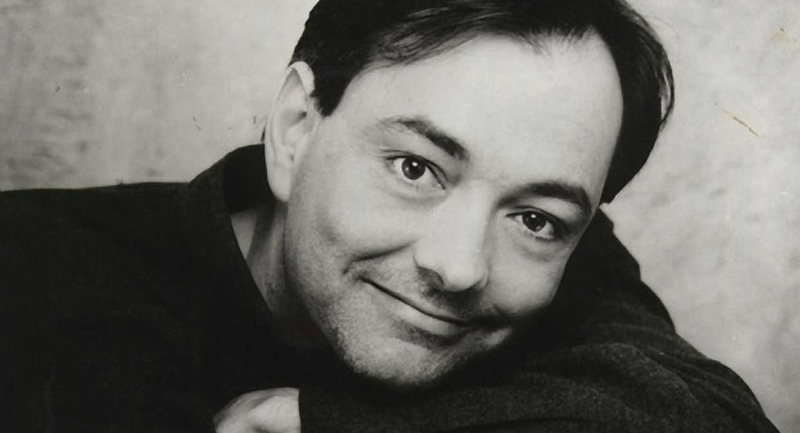 I didn’t know Rich Mullins. I met him the way an audience member meets an artist after a concert. I saw Rich in concert 4 or 5 times and each time was a profound experience. I didn’t know Rich, but we come from the same “tribe” of churches and many of my friends knew Rich well. I understand he was a complex man who wrestled with many challenges. But I think that’s why we loved him – he put himself on display, not as an example of righteousness, but as a human struggling to follow Jesus in a dark world. There is so much I didn’t know before listening to Rich that he introduced me to: an expanded notion of systemic poverty, obscure appalachian instruments like the hammer dulcimer and lap dulcimer, Brennan Manning, classical music, the power of hymns sung a cappella. I didn’t know it was ok to be famous, gifted and flawed and share all of that in one messy beautiful experience with people. I didn’t know that driving through Kansas could be a worship experience and that the mundane was as powerful as the transcendent. I didn’t know that “men singing badly in church” is something to marvel at, not criticize.